A number at the meeting said they had already submitted letters of no confidence in May, the source told the BBC. Under Conservative rules, a leadership election is triggered if 15 percent of Conservative lawmakers, currently 48 out of its 315 members of parliament (MPs), demand a vote of no confidence. 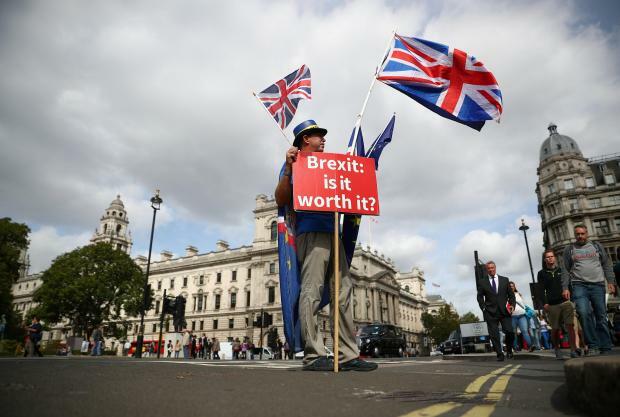 Jacob Rees-Mogg, the ERG leader, said on Tuesday his group would unveil its proposal on Wednesday for how Britain could leave the EU without constructing a hard border between Northern Ireland and Ireland, one of the main sticking points in securing a Brexit deal. The BBC said those at the Tuesday night meeting which did not include all the ERG's senior figures had discussed possible scenarios depending on whether May was able to secure a deal with the EU based on her proposals. Comments at the meeting were said to have included "everyone I know says she has to go" and "she's a disaster", the BBC reported. However, the BBC report said the ERG were unlikely to force a leadership election unless they were sure they had a candidate that could win. The rift in May's party deepened this week, with her former Foreign Secretary Boris Johnson, who quit the cabinet over the Chequers proposal, comparing May's plan in a newspaper column to putting a "suicide vest" on Britain's constitution. The eurosceptics complain that accepting free trade on goods with the EU would mean Britain had to sign up to EU regulations even after it leaves the bloc. However, the Sun newspaper reported on Wednesday that May's office was drawing up secret plans to ditch her Chequers blueprint if EU leaders reject it at a summit next week.